Hide 'n' Seek puzzles are similar to other wordsearches - but with a twist! First, cross out all the listed words in the grid. You'll see that there are unused letters in the grid. When these letters are read in order, from top to bottom, they will form a word or phrase connected with the theme of the puzzle. With dozens of puzzles in every issue, plus a £5,000 prize up for grabs, this will entertain you for hours. 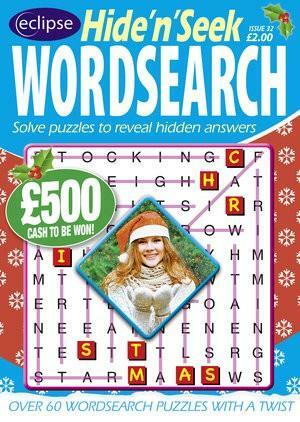 Be the first person to tell us what you think about Take A Break&apos;s Hide &apos;n&apos; Seek Wordsearches and you'll save £2.50 on your next purchase!